Phase 3 of the Marvel Cinematic Universe is off to a very good start. Civil War was an excellent way to round up the Captain America trilogy, not to mention that the movie was a huge financial success as well. Additionally, Doctor Strange succeeded in opening an entirely new corner of the Marvel Universe, which fans have seemed to fully embrace. It looks like the upcoming Avengers: Infinity War will follow in those footsteps by exploring a bunch of new worlds. Charles Wood, who worked as a production designer on Doctor Strange and is also working on Avengers: Infinity War, recently talked a bit about the movie with Comicbook.com. He teased that the movie is not going to be repeating what has come before it in the Marvel Cinematic Universe and specifically that there will be a lot of new worlds explored during the course of Avengers 3. Here is what he had to say. "I think rather like Doctor Strange, you'll find this film, it's not regurgatative, yeah? What I'm trying to say, is, there are many, many, many new worlds to see in this film." Up to this point, save for Guardians of the Galaxy and the Thor movies, much of the MCU has been relegated to Earth. 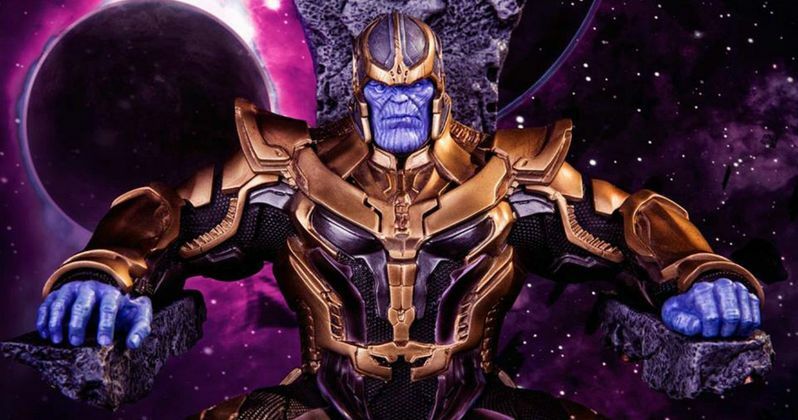 That has largely made sense so far, but given that Thanos is going to be the main villain it seems totally logical that parts of Avengers: Infinity War will be taking place on other worlds. How exactly that is going to play out or fit into the plot of the movie is unclear, but it is potentially very exciting to think of just how expansive the next Avengers movie could be. Charles Wood couldn't say much about it, but what he did have to say about Avengers: Infinity War was incredibly positive. "Any time you turn that page on this script, you're kind of staggered, blown away, terrified by what's in front of you." Not much has been revealed about the upcoming Infinity War and the untitled Avengers 4, but we know that the movie is going to have an absolutely massive cast. Seemingly all of the core members from the Guardians of the Galaxy are going to be included, as well as the core MCU heroes such as Captain America, Thor, Iron Man, Spider-Man and Doctor Strange. Not only that, but there have been reports that Liv Tyler may be reprising her role as Betty Ross from The Incredible Hulk, so it is almost unfathomable to think how many characters will need to get screen time between the two movies. Outside of the cast, it has also been reported that the two movies will have a combined budget of around $500 million, so they will be tremendously expensive, which makes sense but it is definitely on the higher end of what a comic book movie can cost. As production ramps up, with the shoot supposedly starting sometime this month in Atlanta, we'll surely be getting more solid details soon. Avengers: Infinity War and Avengers 4 are being directed by Joe and Anthony Russo, who directed both Captain America: The Winter Solider and Captain America: Civil War. Avengers: Infinity War is scheduled to hit theaters on May 4, 2018, and Avengers 4 will come out a year later on May 3, 2019.